Kodi can make your massive media collection easy to browse and play, but adding new media is a bit of a chore. By default, you need to manually tell the program to re-scan your folders every time you add something, which is annoying if you add new media regularly. Isn’t there a way to automate this? Tell Kodi to update the library every time it starts up. This doesn’t require any add-ons, but only works if you close and open Kodi regularly. Use Library Auto-Update, a lightweight add-on that re-scans folders on a timer you set. This is ideal if you don’t restart Kodi regularly, but still want routine updates. 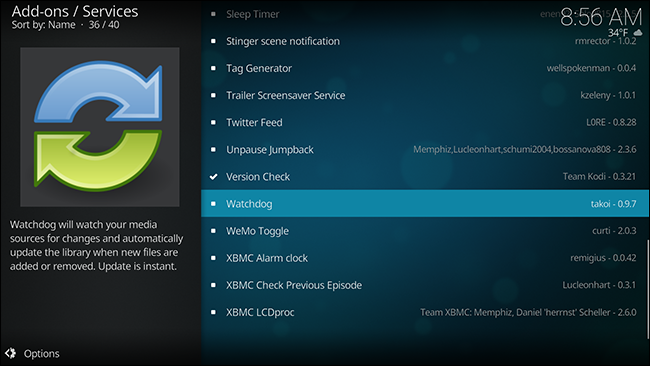 Use Watchdog, a slightly heavier add-on that monitors folders and adds new files in real time. This is ideal if you are constantly adding new media, but takes up a lot of system resources and might prove unstable. None of these methods are particularly complicated, but the two add-ons are going to require a bit more effort, with Watchdog being the most work. In exchange for more complication, each option gives more flexibility than the last, so it’s worth going over all three. Our recommendation: choose the least complicated option that does what you want. Kodi can, without any add-ons, re-scan your library every time it starts up. To get started, click the Settings gear from the home screen. Next, head to Media Settings. From here you’ll find the option to scan the library on startup. Note that there is a different option for Videos and Music. 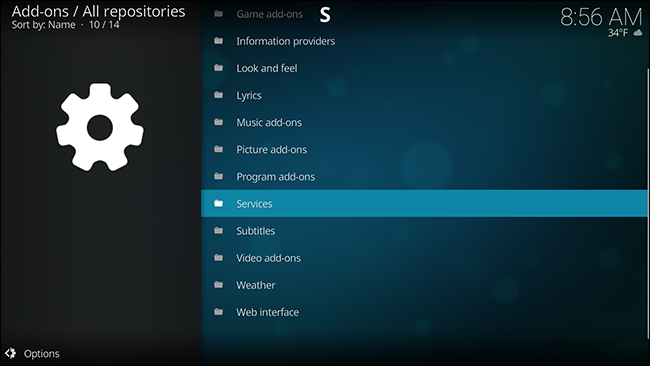 Toggle those two options and your done: Kodi will now update the library every time you start it up. If that’s all you want, you don’t need to do anything else. Some people rarely, if ever, restart Kodi, putting the computer to sleep instead of shutting it down. If that’s you, re-scanning the library probably isn’t good enough. Library Auto-Update is a Kodi add-on that lets you set a schedule for re-scanning your library. The add-on is lightweight, too—all it does is trigger the built-in library scan on a regular basis. 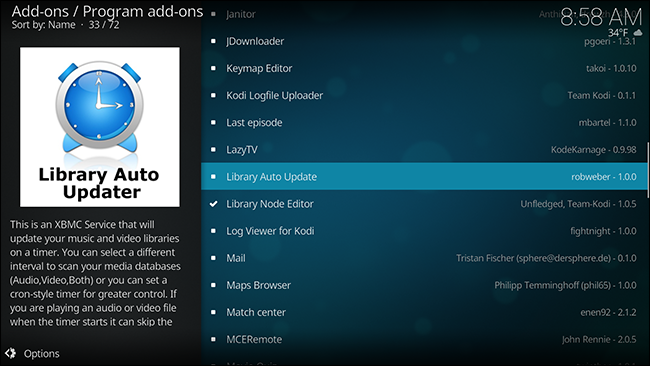 You’ll find Library Auto-Update in the default Kodi add-on respository, under Program add-ons. If you aren’t familiar with how to install add-ons, check out our guide. Scroll down until you find the add-on, then install it. Access the settings and you can configure whether or not each update has notifications. There will be many updates, so consider toggling this. Under the Video and Music sections you can set how frequently updates occur. By default all of your video sources will be scanned, but you can instead set specific folders to be scanned here. Do that and only the specified folders will be updated regularly. If you delete videos frequently, you might be annoyed to see them still referenced in your Library. The Cleaning section of the settings lets you take care of that. Enable the “Clean Libraries” option to regularly remove all references to any deleted files from your library. This will take a bit of time, so only enable this if you really do delete media files with some frequency. Scheduled updates are nice, but if you add media files constantly, they not enough. This is particularly true if you’ve got some sort of automated system set up for recording or downloading new TV episodes, and you want to watch them right when they’re available. If that’s your situation, Watchdog is the add-on you’re looking for. You’ll find it in the default Kodi repository, under Services. If you aren’t familiar with how to install add-ons, check out our guide. Install it and you’re pretty much done: Kodi will start adding new files to the library basically as soon as you put them in a source folder. The downside: this can take up a lot of system resources, and is occasionally unstable. You can tweak things quite a bit, however, so head to the add-on’s settings and get familiar. 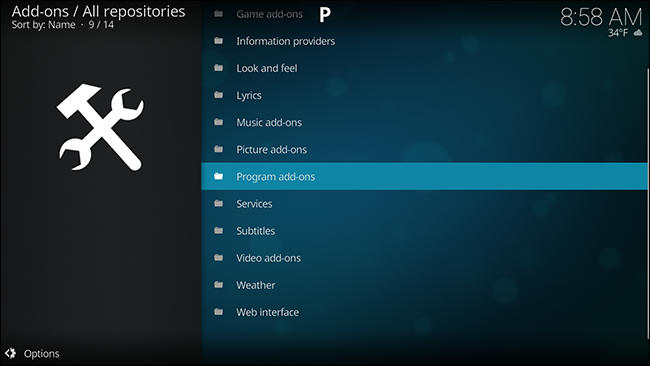 From the main settings, you can tell the add-on to remove deleted files from the library, or even to scan when you start up Kodi. You can also tell the add-on not to scan new files while you’re watching something, using the “Pause during playback” feature. If you don’t like seeing notifications, you can also turn those off. By default, the add-on will scan your complete library, with all sources, but you can set it to watch specific folders instead. If you’ve got a PVR set up to integrate with your Kodi library, for example, you could set it to watch only your PVR folder. You’ll find a few more things to tweak in the “Advanced” section. From here you can set the polling interval in seconds; that is, you can set how often Kodi will check folders for new files. You can also set a delay between finding a new file and adding it to the library. 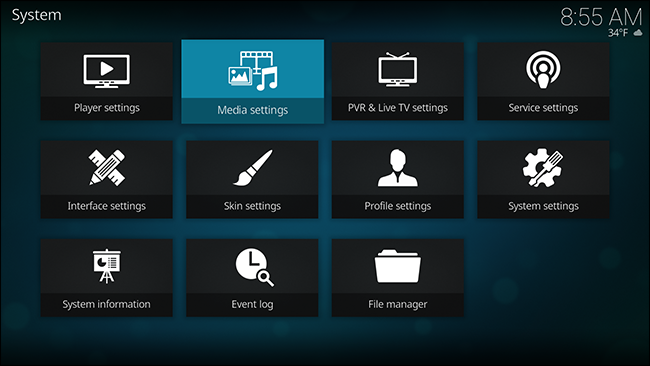 You can even set Kodi to automatically scan the entire library when new files are added. Overall, Watchdog is the most complete tool for automatically keeping your library up-to-date, and is a must for automation freaks. But it can be a bit of a resource hog, so only use Watchdog if it’s worth it to you.